The self-proclaimed Donetsk People's Republic (DPR) has appointed Alexander Karaman, a Transnistria native, who previously served as deputy prime minister on social policy, as its new foreign minister, Donetsk prime minister said Saturday. The Supreme Council of the self-proclaimed Donetsk People’s Republic (DPR) approved field commander Alexander Zakharchenko as the republic’s new prime minister, a RIA Novosti correspondent reported Friday. The prime minister of Donetsk People’s Republic, Alexander Boroday, announced his resignation Thursday. Representatives of the Donetsk People’s Republic plan to participate in the meeting of the three-party group on Ukraine due on July 31 in Minsk, the republic’s prime minister has said. Canada has included a range of Russian banks and entities related to Russia’s arms industry on a “black list” over the Ukrainian crisis, a statement on the website of the country’s prime minister has said. The self-defense forces have shot down four Ukrainian military Su-25 combat jets in the last two days, officials from self-proclaimed Luhansk and Donetsk People’s Republics said Wednesday. Two Russian journalists with English-language RT channel and ANNA-News agency, including a UK citizen, are at the mercy of Ukrainian authorities after they went missing overnight in eastern Ukraine, the Russian Foreign Ministry said Wednesday, adding they must be released at one. Self-defense forces of the Donetsk People’s Republic (DPR) are verifying the reports about the detention of journalists from АNNA-News information agency and RT television by the Ukrainian National Guard, the prime minister of the self-proclaimed republic Alexander Boroday told RIA Novosti. Flight recorders of a crashed Malaysia Airlines Boeing 777 will be analyzed in the United Kingdom following a Dutch request, British Prime Minister David Cameron wrote on Twitter Tuesday. The flight recorders of the Malaysia Airlines Boeing 777 that crashed in eastern Ukraine last week will be analyzed by experts in the United Kingdom, the Ukrainian government said Tuesday. Authorities of the self-proclaimed Donetsk People’s Republic have handed over to Malaysian experts two flight data recorders recovered from the crash site of the Boeing plane in eastern Ukraine, a RIA Novosti correspondent said Tuesday. The Donetsk People's Republic in eastern Ukraine agreed on Monday to declare a ceasefire in clashes with pro-Kiev forces in the radius of 40 kilometers (25 miles) around the crash site of the Malaysia Airlines Flight MH17, according to a leader of the self-proclaimed state. Malaysian experts will visit the site of the Boeing 777 crash in the Ukrainian city of Torez on Tuesday, Bernama news agency reported Monday referring to Malaysia’s Transport Minister Datuk Seri Liow Tiong Lai. Ukrainian self-defense forces have found items that could be data recorders from the crashed Malaysian plane and delivered them to the eastern city of Donetsk, Alexander Boroday, the prime-minister of the self-proclaimed of Donetsk People’s Republic, told reporters Sunday. The leader of the self-proclaimed Donetsk People’s Republic in eastern Ukraine has traded accusations with Kiev saying it was responsible for downing the Malaysian airliner since local militia doesn’t have the required technologies. 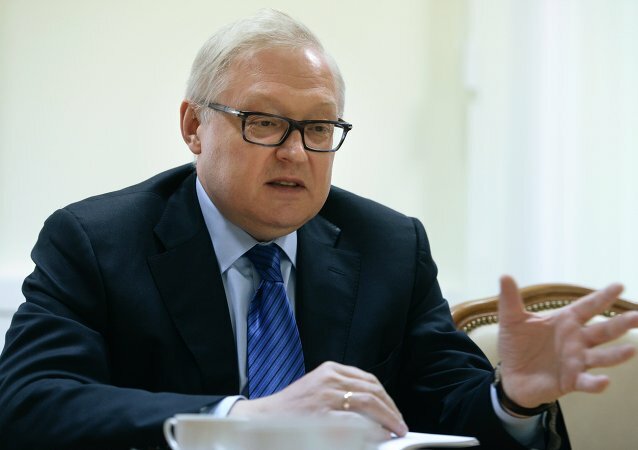 New sanctions against Russian companies and financial institutions will have a negative impact on US external political and economic goals, Russian Deputy Foreign Minister Sergei Ryabkov said Thursday.